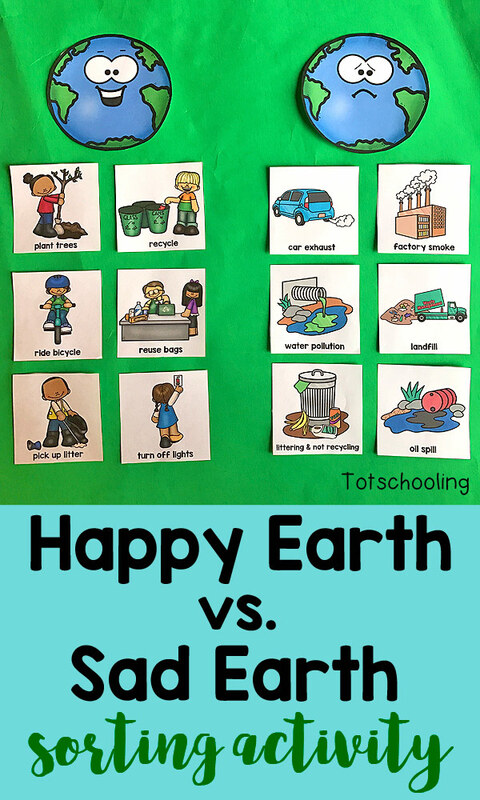 Use this Earth Day sorting activity to teach kids about the environment, pollution, conservation and the different ways we can take care of our planet. This FREE printable activity is a great way for kids to learn and talk about some of the things that make the Earth "happy" and "sad". You can use it as a sorting activity or even display it on a bulletin board and have a discussion about it. There are 6 cards that show children how to take care of our planet through conservation, recycling, cleaning, reusing and planting. There is another set of 6 cards that introduces children to air, water and land pollution. Activities arranged date cuiar earth you very interesting. I appreciate your activity.